Click here for our Spring Classes. The Children's Program follows a proven curriculum built for age 3 to age 8 by September 1st. 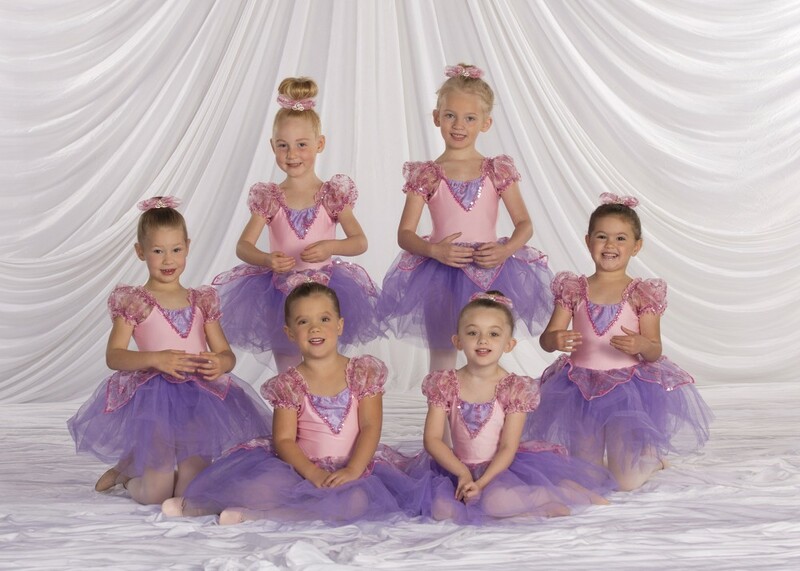 The purpose of the curriculum is to gain confidence, poise, and a solid frame work on which to build beginning ballet and tap technique. The children for this program are ready to be in a class by themselves. They will begin to learn the basic elements of creative movement, move on to pre-ballet skills and finally into the basic skills needed to stand at a barre. Behavior and social skills such as turn-taking and following instructions will be emphasized. Our Fall Season is 11 months of classes from mid-August to mid-June with a full performance Production on the 2nd or 3rd weekend of June. For availability in classes please go to the Register Online page. Designed to enhance gross motor skills, listening skills and musicality through music, props and dance. Mom and baby welcome ages 1-3! Designed to enhance gross motor skills, listening skills and musicality through music, props and dance. Intro Ballet and tap steps are introduced through song and dance. Creative movement, pre-ballet and tap steps are introduced through song and dance. Strengthening and stretching exercises are also introduced through creative and fun themes. Beginning ballet positions of the feet, hands, and arms are introduced. Basic ballet exercises and steps are introduced. Basic tap steps are taught through song and dance. Ballet bar is introduced with center and traveling ballet steps. Tap technique is introduced along with intro jazz steps.